To enable informed decision-making in the condominium market, the Condominium Act, 1998 (Ontario) (the “Condo Act”) imposes upon “Declarants” (the builders of new condominiums who are responsible for registering the declaration and description that will govern the property) the obligation to provide to every person who purchases a proposed unit a disclosure statement containing certain pieces of essential information about the builder and the project. This obligation is also a continuing one; in the event of a “material change” to the project, being a change that a reasonable purchaser would regard as sufficiently important that the purchaser would not have entered into the agreement of purchase and sale if the change had been disclosed, the Declarant has the obligation to provide a revised disclosure statement in a timely manner. The Condo Act is consumer-protection legislation, and the disclosure statement is intended to be as readable and user-friendly as possible in order to indicate clearly to purchasers what they are buying. With the passing of the Protecting Condominium Owners Act, a series of amendments are being made to the Condo Act to strengthen protection for condominium purchasers and owners. Some of the amendments have already come into effect, and others will take effect in the future. The recent Court of Appeal decision in Toronto Standard Condominium Corporation No. 2051 v. Georgian Clairlea Inc. (the “Georgian Case”) highlights the risk of inadequate disclosure. At the core of the Georgian Case is a common practice in condominium developments: the Declarant providing certain services, assets and amenities to the condominium corporation, such as a Guest Suite Unit, Superintendent Suite Unit or similar such services, assets or amenities (collectively, the “Assets”) at a determined purchase price. The Declarant “sells” the units to the condominium corporation but does not collect any cash upon transfer, instead accepting a vendor take-back mortgage (“VTB”) for the whole of the purchase price. The corporation is then responsible for the mortgage payments to the Declarant according to the VTB’s terms until the purchase price is repaid or the outstanding amount is refinanced. The transfer is completed prior to the turnover of control of the condominium to owners. Therefore, there is an onus on the Declarant to make full disclosure to purchasers so they know the terms of the deal and can accept them by virtue of purchasing their unit(s). In the Georgian Case, there was a VTB relating to the sale of HVAC equipment to the condominium and a further VTB relating to the sale of certain parking units, storage units and combination parking/storage units that remained unsold after registration of the condominium. The Court had to decide whether the disclosure in connection with these sales and the corresponding VTBs was adequate. The Court found that the disclosure was insufficient in that it was confusing and was not made in simple, readable language. The Court made clear that the expectation is that the Declarant delivers clear, coherent and consistent disclosure that is both full and accurate, including specifically with regard to the obligation to purchase units and the costs associated with it. The disclosure statement did not set out the mortgage amounts and the costs of the payments to be borne by the corporation, and the Court affirmed that purchasers are entitled to know these terms of the deal. The outcome: The principal amount of the VTB on the HVAC equipment was reduced to $652,050 (from $2,228,100). The cost to the developer for the HVAC equipment was $575,000, and the Court accepted some margin of profit, though substantially less than the VTB originally taken. The parking unit mortgage was reduced to $73,000 (from $1,026,000). The value of the parking units was determined based on a fair market value appraisal, noting that the Declarant’s valuation was “inflated”. The Court also referred to the fact that the first year budget did not include interest payments, owing to the fact that the Declarant exempted the corporation from VTB payments in the first year. The Court called this indulgence a “stratagem” to ultimately mislead. Certain upcoming amendments to the Condo Act will deal directly with the circumstances of the Georgian Case. New paragraphs 72(3)(q.1) and (q.2) will address the requirement that Declarants provide a statement of the circumstances that may result in an increase in common expenses after year one and the amount of the potential increase. New section 26.1 will address the process of requiring the condominium corporation to acquire certain units from the Declarant, which will become ineffectual unless ratified by the owner-elected board after the turnover. 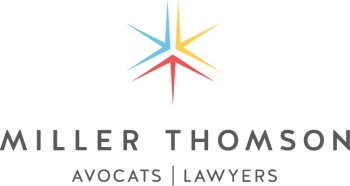 Builders will not be able to mandate anything in the declaration (or in a by-law or agreement) that supplants such owner-board ratification, and this provision may end the practice of providing such Assets, at least in the present manner. Indeed, we have already seen, in some cases, conditions of approval requiring that these amenities be part of the common elements rather than being unitized. Before these provisions come into force, Declarants are in a middle ground and would do well to consider now the effect of the legislative changes in preparing their condominium documents. The Georgian Case is a tale of the risk associated with inconsistent or confusing disclosure and for potential omissions. In our view, had the disclosure been more specific and clear, the Court would have been more likely to accept the VTB principal values (absent clearly oppressive valuations). Further, the Georgian Case is an indication that Declarants will be offside the law if they fail to disclose expected increases in the budget and common expenses after the first year following registration, even absent an express legislative provision at this time. Errors of consistency can inadvertently occur between the various disclosure and constating condominium documents, which work together. This risk can be exacerbated where project characteristics are changed and the Declarant publishes a revised disclosure statement without being mindful of the effects on the other condominium documents and disclosure. Careful consideration and review are necessary for all of the condominium documents to ensure they remain consistent in the face of other changes and, where appropriate, consistent with the anticipated amendments to the Condo Act. Market forces, as well as planning and zoning approval processes, will remain important factors in determining the effect of the new provisions once in force. Builders and their lawyers will have to react in revising their disclosure and condominium documents appropriately. We will undoubtedly revisit this topic in the future once the applicable amendments to the Condo Act take effect.